An epidemic of challenges is going around Facebook and other social media networks. It’s fun, it’s beneficial, it’s inclusive. Beneath a bucket of ice water, we’re all equal. I’m sure you’ve seen the videos– everyone from your high school English teacher to your next door neighbor to your kid’s softball coach to the White Sox owner to the guy who plays Loki to Mariah Carey’s child groom to Steve Gates to ex-Presidents have participated. Rock stars, athletes, millionaires, rednecks– everyone is doing/has done it. 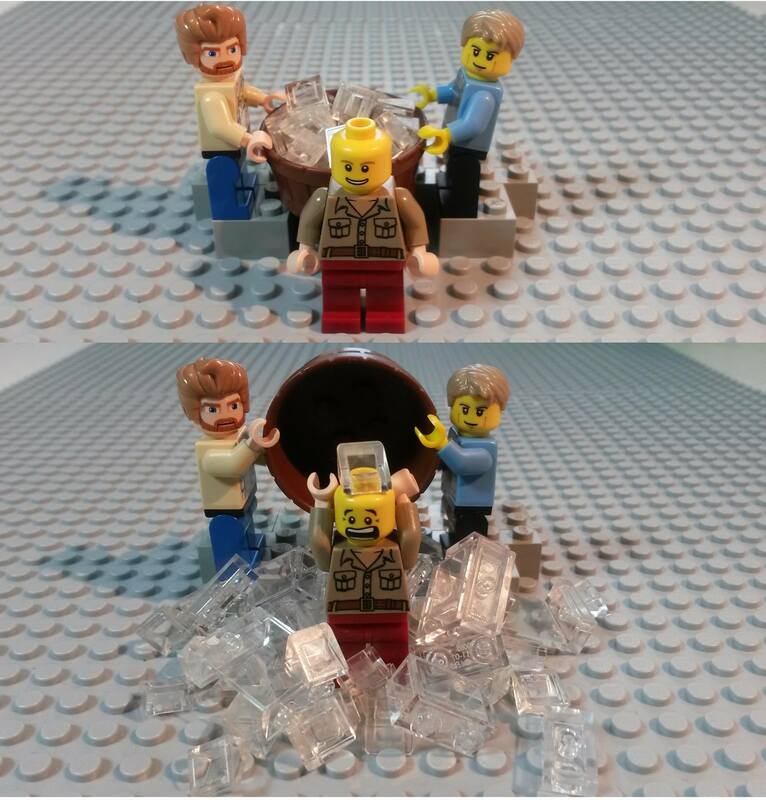 I was nominated for the #ALSicebucketchallenge two times (thankfully only twice). My 24 hours has easily expired. Who has time for ice water when there’s an exhibition about to open?! I’m not dumping a bucket of ice water on my head. I’m not. I know my friends have done it, my son has done it, over three million people have done it! But I’m not going to. In the spirit of fundraising and social networking, I will donate. I do donate. But it won’t be to ALS. Not that I don’t think it’s a worthy cause, it certainly is, but they’ve raised the equivalent of their research budget for the next fifteen years in about a month. 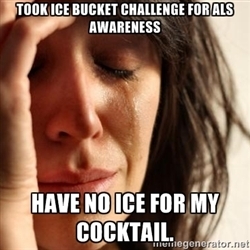 My challenge is to not wait until you’re nominated to do something fun for a good cause. Don’t wait till it’s trendy. If it’s fame you seek, there’s no reason you can’t post a 15 second video of you stuffing a twenty dollar bill into the boot of the local firefighter, or swapping a fifty for a pack of peanuts, or tucking that Benjamin into the little red bucket. Be creative with your donations, how you give them and where they go. The best part of this viral ice bucket challenge is that it’s raising as much awareness of donating as it is cold hard cash. Everyone is benefiting. And that is a cause I truly support. This entry was posted in It's all about me, It's all about You and tagged #ALSicebucketchallenge, I'm not doing the ice bucket challenge, Mary Lamphere, support the cause, Word of Art Exhibition. Bookmark the permalink.